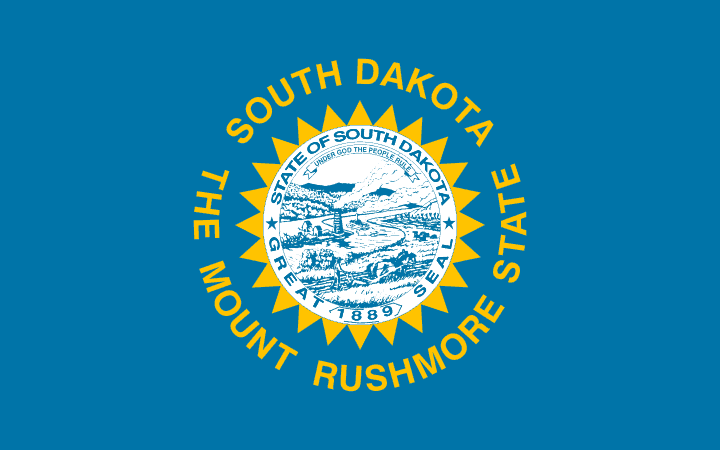 South Dakota Landlord Forms are crucial to have available at all times, throughout the course of every tenancy. It is imperative to make sure that you have comprehensive South Dakota Landlord Forms always on hand, not just the basic landlord forms. Situations may arise suddenly that requires a specific landlord form and you want to make sure it is available. The Residential Rental Agreement gives comprehensive details of the terms of the lease and the responsibilities of the parties as well as date that the lease begins and ends. Obtaining signatures on the written lease agreement serves as proof that the tenant understands and accepts the terms of the lease. This information potentially serves as evidence should the tenancy go bad and you file an eviction or other action against the tenant. The South Dakota Codified Laws state that when a landlord requires a security deposit the maximum amount of security deposit cannot exceed an amount equal to a one month rent payment, with few exceptions. The Rental Deposit Form describes the deposits required of the tenant. Once the tenant vacates the premises the landlord returns the deposit, minus any fees for past due rent or damages to the property that are the fault of the tenant or the tenant’s guests, except for normal wear and tear. The Disposition of Security Deposit explains any deductions from the security deposit. The landlord sends the notice to the tenants’ forwarding address, along with the remaining amount of the security deposit. It is imperative to conduct the Move In/Move Out Checklist for every tenancy. The landlord and tenant go through the property and make note of any damage or need for repairs at the beginning of the tenancy and again at termination of the tenancy. Any damages present at move out that were not present when the tenant moved in may serve as evidence to any proceedings that include damage to the rental property. It is also a potential defense to a claim that the landlord failed to return the security deposit. Landlords may hold a tenant responsible for using the premises for any reason other than its intended purpose. Landlords may serve a tenant with the Notice to Perform or Quit in the event that the tenant uses the property for reasons other than as their home or for certain other violations of the lease. If the tenant fails to comply with the terms of the Notice to Perform or Quit the landlord may decide to initiate legal action to evict the tenant from the premises. No landlord wants to endure the costs and time associated with tenants who fail to pay rent when due, damage the property or conduct illegal activities on the premises. Unfortunately, it sometimes happens. The Past Due Rent notice and the Notice to Pay Rent or Quit compel the tenant to pay rent immediately or face eviction. The Notice of Termination of Tenancy requires the tenant to leave the premises. These notices serve as evidence when needed in an eviction case or for other legal action that you initiate against a tenant. Having the right South Dakota Landlord Forms makes the process of dealing with these types of situations less time-consuming and less costly than if you wait for your attorney to draw up the necessary forms and then pay the cost of expensive attorney fees. When you obtain all your South Dakota Landlord Forms from the American Apartment Owners Association you save considerable time and expense by getting the comprehensive landlord forms when you need them, not when someone else gets around to creating the necessary forms for you. The American Apartment Owners Association provides landlord forms nationwide. Looking for a state other than South Dakota?